Lifeguard Career: How Much Rewarding It Can Be? Lifeguard Job: Save Lives and Earn Well !! The job of a lifeguard is all about rescue and adventure where you have to stay focused for dealing with emergency situations. But it also calls for fun and excitement with earning little cash too. Acting like a superhero you have to anticipate and react to the trouble, the people and beach-goers are getting caught in. 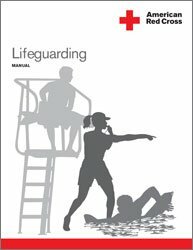 The lifeguards can be seen in leisure clubs or water parks and beaches or pools. For getting a proper job, they have to qualify the lifeguard certification with public and state institutes and get training through special programs. The pay and salary depends on the job position and location they serve but hourly wages are common. Their job may consist of shifts on weekends and summer season or permanent swimming or fitness coaching. Their on-spot duties include supervise the swimmers to safe areas and identify potential hazards. They sit on tall chairs to get the danger alerts by seeing far and wide. They can deal with problems individually or can send alerts to other paramedics for more serious cases. They advise and interact with public regarding water safety to avoid the accident and death rate. They teach swimming techniques to adults and safety rules to kids in pools. Their job also involves acting as a medical expert to provide first aid and CPR from any minor to major medical problem. They have to bring back the swimmer who is fatigued, injured or cramping. They have to evacuate beaches and pools in case of water dangers as sharks and bad weather. The lifeguard job can often be boring or scary when pool or beach is quiet or has lots of activity. You can get free off days and paid vacations depending on the authority you are working with. They have to play with dangers and under extreme pressure so one must be energetic and enthusiastic to perform the job. You have to check the chlorine and chemical level in water whether pool or park to avoid people from health risks. You have to perform water sanitation job at pool and manage all the activities with safety. You cannot sleep while sitting on lifeguard chair and have to move around from time to time for being alert. The lifeguards can stay active by doing stretches and training exercises after getting plenty of rest. Healthy lifestyle routine with proper diet and fitness plan is also essential for performing job successfully. You have to ensure that everyone is following the water safety rules and can give warning and evacuate those who do not obey you. Before going for your shift, you must have adequate lifeguard apparel, equipment and accessories. When you are a lifeguard, you can swim for free and enjoy world class luxuries at top hotels and clubs. You can work according to your choice on hourly or weekly basis. You can earn more than the work you do. You can learn skills and traits from other lifeguard which are helpful in personal life too. Lifeguard Training: A Game of Actions Not Words!! Lifeguard Training & Certification: Invest In Countless Benefits! !